From the summit of Indian Rock in North Berkeley, a view of the San Francisco Bay sweeps outward, framed by bridges, headlands, and steep faces that mark where the metropolis meets the Pacific Ocean. The sound of shovels sinking into mounds of woodchips punctuates the steady murmur of Sunday traffic. 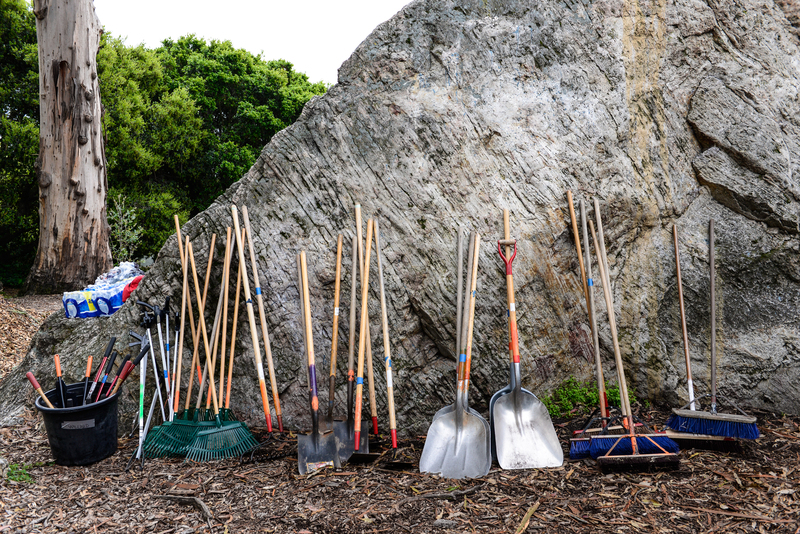 At the foot of Indian Rock, 16 volunteers with the Bay Area Climbers Coalition (BACC) are clearing downed branches, doing trail maintenance, and picking up trash in the areas of the park most commonly used by climbers. "Our focus is on stewardship," says Tim Golden, BACC's president. The organization aims to instill the Bay Area's growing climbing community with an ethic of caring for their local cliffs. Organizations such as the Salt Lake Climbers Alliance (SLCA) have held similar Adopt-A-Crag events in order to foster relationships between climbers, land managers, and climbing areas. As Julia Geisler, Executive Director of SLCA explains, those relationships have frequently turned into formal partnerships, such as a recent endeavor with the US Forest Service to complete a large-scale climbing trail access project. According to Phil Powers, CEO of the American Alpine Club, the existence of local climbing organizations and clubs is vital for building that connection between climbers and their broader communities and landscapes. "Only the people who are intimate with nearby parks and climbing areas understand what those areas need in terms of stewardship and infrastructure," Powers says. For that reason, "local organizations and clubs are essential to the national effort to care for our recreation resources." Local climbers' coalitions, including BACC and SLCA, have power to influence climbing access by educating climbers to respect landscapes and local communities. These goals appear vital for the future of climbing in the United States at a time when the continuation of both conservation and access may depend, in part, on bolstering the relationships between rock climbers, the places where they seek adventure, and the communities surrounding those locations. 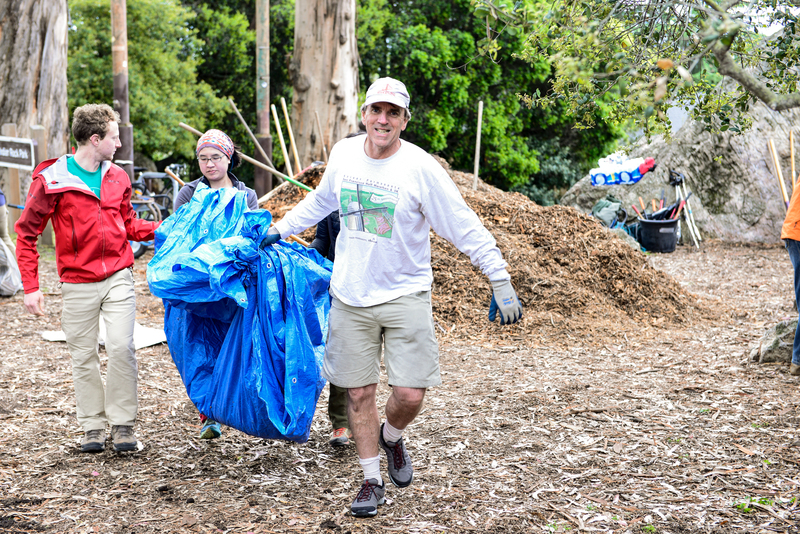 Conservation and recreation advocates in the Bay Area and beyond have found that the most effective way to ensure continued access is by taking the time to build relationships with local groups. "Building relationships has taken time," says Jen Bruursema, BACC's Stewardship Director, but it's time well spent. When the BACC began an initiative to replace bolts at Castle Rock State Park, the park service required a delay period for review and public comment. "It will be great once we get that process in place," she says, "because then we can repair a lot of rusty bolts, ensure climbers are safer, and improve the aesthetics, too." Castle Rock State Park had never explicitly permitted bolting, and so the installation of bolts had caused friction with land managers in decades past. Tyler Knapp, a California State Park Ranger working in the Santa Cruz district, recalls that, "there were elements of the climbing community that...rangers found frustrating." Through the leadership of BACC and the Access Fund, the relationship between climbers and land managers in the Bay Area has improved, Knapp explains. "We have a lot of common goals that we want to achieve," he says. "First and foremost, we both want to see climbers recreating safely, and we definitely want to see climbers having a sense of ownership in their parks, so they feel like this is also their park to protect." Today, the park considers climbers as useful allies. Knapp hopes to invite BACC volunteers to assist in an upcoming ecological restoration project to protect one of the park's special populations of black oak, which grows along a trail that leads to a climbing area, and to collaborate with them in writing a climbing management plan for the park. As past unsanctioned bolting in Castle Rock shows, the rapport between climbers and land managers has soured when climber behavior has included "desecration of resources, not having respect for the region, parking cars everywhere, leaving trash behind," Golden says. But local climbers' coalitions can work to negate tensions between user groups by proving their dedication to a place. "What we try to do with these events," Golden says, "is show that the climbing community cares." For land managers such as Knapp, BACC's efforts illustrate that climbing coalitions "foster a better sense of connection with the resource." "To protect the places we love to climb, all stakeholders need to work together from the federal, state, local, nonprofit, and private sectors," Geisler agrees. Regional climbing coalitions' cross-agency work illustrates how climbing can catalyze a more holistic understanding of the places we go to enjoy the outdoors. Local stewardship events offer volunteers from the climbing community a space to learn about and participate in ecological, social, and historical facets of climbing, especially as they relate to other invested groups, from cyclists to neighborhood associations to land trusts. Today, the country awaits the results of Interior Secretary Ryan Zinke's final recommendations about whether to rescind, reduce, or expand some national monuments—including Bears Ears National Monument in Utah, which is culturally significant to at least five Native American tribes and contains world-class climbing areas such as Indian Creek. Local coalitions can also represent models of engagement to galvanize climbers' future participation in advocacy related to public land. "The freedom to camp, live and climb inexpensively on the land we all share...is a uniquely American experience," says Powers. "For me, the preservation of the commons—the real estate we all own together and the funding to maintain it—has become an issue I consider in every single visit to the ballot box." To protect access to the experiences climbers love, he said, there is one key action they can take: "Vote." Geisler echoes Powers. "There is no 'they' when it comes to caring for climbing areas," she said. "WE are the 'they.'"